The old ripe-rotten Republican Party, personified by Mitt Romney, is doing all it can to destroy Donald Trump and so prevent a new Republican Party from coming into existence. Romney is attacking conservative businessman Donald J. Trump. Because Trump is self-funding his campaign, the GOP establishment and political class can’t control him. And that makes Romney angry! Here’s what I know. Donald Trump is a phony, a fraud. His promises are as worthless as a degree from Trump University. He’s playing the American public for suckers: He gets a free ride to the White House and all we get is a lousy hat. His domestic policies would lead to recession. His foreign policies would make America and the world less safe. He has neither the temperament nor the judgment to be president. And his personal qualities would mean that America would cease to be a shining city on a hill. But in one tweet, Donald Trump’s son Eric embarrassed Romney in a huge way. The lack of loyalty is truly astonishing! Mitt Romney tried with his ideas, his personality, his policies to gain the presidency, and he failed. How staggeringly stupid the anti-Trump Republican grandees are showing themselves to be – Mitt Romney, Paul Ryan, Bill Kristol and the rest of them. Because Donald Trump and his style offend their patrician taste, they are trying to abort the new Republican Party that Trump would usher in and set on its new course for a new age. They are helping Crooked Hillary Clinton to come to power: she who has sold out her country over and over again. She sold its favors to foreign companies and powers when she was secretary of state through the transparent ruse of getting them to donate vast sums of money to the Clinton Foundation. She allowed its enemies to find out its secrets by using an unsecure server for her emails. She callously let one of its ambassadors and three of its soldiers be killed by Muslim terrorists. She insisted on destroying the frail stability of Libya so that now it is in chaos, with thousands of refugees fleeing from its shores to Europe, many drowning on the voyage. And she is notoriously a bare-faced liar. Is such a person to be trusted with the security and well-being of the nation? Surely not. But Romney and his anti-Trump conspirators are willing to let her rather than a patriotic, competent, fellow Republican gain the presidency. They are not only disloyal, they are stupid. Even the smartest among them is being, in this supremely important instance, simply but prodigiously stupid. We had supposed that Neoconservatives were persons who had been on the Left, seen the light, and so become conservatives. We thought they charmingly but mistakenly considered it possible to spread democracy, love of liberty and Austrian School economics round the world. But it seems we were largely wrong. In spite of the ease with which the word “conservatism” is thrown about these days, most people who associate with the “conservative” movement are not really conservative at all. In reality, the so-called “conservative” movement is a predominantly (though not exclusively) neoconservative movement. Contrary to what some neoconservatives would have us think, “neoconservatism” is not an insult, much less an “anti-Semitic” slur. The word, rather, refers to a distinct intellectual tradition — a point for which some neoconservatives, like its famed “godfather”, Irving Kristol, have argued at length. In The Neoconservative Persuasion, Kristol argues for another claim: neoconservatism and traditional or classical conservatism are very different from one another. “Neocons,” he states, “feel at home in today’s America to a degree that more traditional conservatives do not.” Unlike conservatism, neoconservatism is “in the American grain”. And this is because it is “hopeful, not lugubrious; forward-looking, not nostalgic; and its general tone is cheerful, not grim or dyspeptic”. FDR a hero of American conservatism! Coolidge and Goldwater overlooked! Neocons view the United States as “a creedal nation” with a “‘civilizing mission’” to promote “American values” throughout the world, to see to it “that other governments respect our conception of individual rights as the foundation of a just regime and a good society”. But what creed would that be? What American values? And what individual rights did FDR nurture, protect, and promote? Kristol is unambiguous in his profession of the American faith: the United States, given its status as a “great power” and its “ideological” nature, does indeed have a responsibility “in those places and at those times where conditions permit it to flourish”, to “‘make the world safe for democracy”. Democracy, eh? In its “civilizing mission”. So there we go. We weren’t wrong in all our suppositions. Here, Kristol articulates the foreign policy vision — “Democratic Realism” is what Charles Krauthammer calls it — for which neoconservatism is known. Yet to Kristol’s great credit, he readily concedes what most neoconservatives readily deny: Big Government abroad is, ultimately, inseparable from Big Government right here at home. Kristol is refreshingly, almost shockingly honest: Neoconservatism, he informs us, endorses “the welfare state”. Its adherents support “social security, unemployment insurance, some form of national health insurance, some kind of family assistance plan, etc.” and will not hesitate “to interfere with the market for overriding social purposes” — even if this requires “‘rigging’” it instead of imposing upon it “direct bureaucratic controls”. And this is “really conservatism”, and it “predominates in the conservative movement”? As Kristol says, neoconservatives are “always interested in proposing alternate reforms, alternate legislation (to the Great Society), that would achieve the desired aims”—the eradication of poverty — “more securely, and without the downside effects”. Neoconservatives don’t want to “destroy the welfare state, but … rather reconstruct it along more economical and humane lines”. In vain will we search the air waves of “conservative” talk radio, Fox News,National Review, Commentary, The Weekly Standard, or any other number of mainstream “conservative” publications for a negative syllable regarding Irving Kristol. Though Kristol, like his son, Bill, is commonly referred to as a “conservative”, he himself not only explicitly embraced neoconservatism as his “persuasion” of choice; Kristol happily embraced the distinction of being “the godfather” of this persuasion. In other words, if anyone can be said to be the intellectual standard bearer of neoconservatism, it is Irving Kristol. And yet here he is unabashedly conceding what some of us have long noted and for which we’ve been ridiculed: neoconservatism is every bit as wedded to Big Government as other species of leftism — even if its proponents want to use it in other ways and for other purposes. Because Obamacare is woefully unpopular, neoconservative Republicans, both in politics and the “conservative” media, have nothing to lose and everything to gain from trashing it. But at this time leading up to the midterm elections, more traditional conservatives would be well served to bear in mind that, in principle, neoconservatives do not object to “some form of national health insurance”, as Kristol tells us. So now we know. Neocons are socialists. This post has 19 comments. We find it hard to believe that Charles Krauthammer or Brit Hume would obey instructions as to what they may say or not say on Fox News. Yet it does seem that Fox has sold its soul to the devil. Former prominent guests on Fox News, including Walid Shoebat, contend that the News Corporation has surrendered its “fair and balanced” coverage of Islam and events in the Middle East for a fistful of Saudi cash. Their contention is based on a series of recent developments within the media giant. The first development was the news that Rupert Murdoch, CEO of News Corporation, invested $70 million in the Rotana Group, an enterprise owned by Prince Alwaleed bin Talal, a nephew of Saudi King Abdullah. The Rotana Group operates a host of TV channels throughout the Middle East and is a leading producer of Arabic movies. Next came Mr. Murdoch’s decision to make Abu Dhabi, the headquarters of the News Corporation’s global media operations in the Middle East. On Monday, the Fox Business Network announced that it will dispatch a full-time correspondent to the Middle East in order to inform Americans of the unique business opportunities in such places as Syria, a country that provides shelter for Hamas, the Islamic Jihad, and Hezbollah and support the insurgents in Iraq. In the past, the former member of the Dutch National Parliament was a frequent guest on Fox News. Last February, Bill O’Reilly welcomed Mr. Wilders to America, while condemning a scared Britain for banning him entrance to the country. Other news about the parent company of Fox News began to surface, including reports that Kingdom Holding owns at least 7 percent of the News Corporation and has become the second largest shareholder in the Murdoch conglomerate. Some speculate that the actual shares controlled by Kingdom Holding through a hedge fund may exceed 25 percent. Listed by Forbes as the world’s 22nd richest person, Prince Talal also owns substantial shares of Time Warner, Apple, eBay, Disney, and Citibank. As for charity, he gives millions to Hamas and other pro-Palestinian organizations. Critics say that Prince Talal’s sizeable investment in the News Corporation accounts for Fox News programs critical of Israel, including a series of special reports in which Carl Cameron and Brit Hume [even he? – JB] alleged that Israel gathered information about the attacks of 9/11 and failed to warn the American people. Walid Shoebat, a former member of the Palestine Liberation Organization, who converted to Christianity, charges that Fox News now prohibits critics of Islam and Islamic terror from appearing on its broadcasts. Mr. Shoebat adds that viewers will no longer be seeing any so-called “Islamophobes” on Fox. Mr. Shoebat says that instead of airing those critical views of Islam, Fox News now legitimizes Hooper, the spokesman for CAIR, a group which he maintains is a front for Islamic terrorists. We were lucky to have Fox News to tell us what the left-slanted mainstream media concealed, and to bring us opinion from both the right and the left. Fox News was “fair, balanced, and unafraid” as they claimed and continue to claim. But is the claim still justified? Not if we are to judge by their treatment of the Dutch politician Geert Wilders, who is on trial in Holland for expressing an opinion, well supported by facts, on the horrific ideology of Islam. Fox News’ Special Report with Bret Baier featured a segment tonight [March 8, 2010] on Dutch politician Geert Wilders’s blasphemy trial in the Netherlands. The “Far-Right” label is meant to smear Wilders by trying to associate him with racist European political parties like the BNP [British National Party] that actually warrant the label. Finally, the report cites three examples of Wilders’ allegedly extreme, “Far-Right” views. While whether head scarves should be banned is a matter of opinion, the last two points — Muhammad’s pedophilia and the Koran’s racist and genocidal injunctions are points of fact. Later on Special Report they featured a panel in response to the story in which host Jim Angle questioned Charles Krauthammer [whom we greatly respect and admire, and usually, but not this time, agree with – JB], Bill Kristol [whom we respect, and often, but not this time, agree with], and A.B. Stoddard. Krauthammer said that Wilders was wrong about Islam — that the Dutch politician did not see a difference between Islam and Islamism. So those who follow “Islam” ignore passages of the Koran and those who follow “Islamism” actually do what the book tells them to do? Is that right, Charles? Just want to make sure I’m up to speed on the preferred Orwellianisms on the Politically Correct Right. This is supposed to be the “conservative” network here and they are unable to present a single panelists who will support Wilders. First, let’s look at Beck’s six minute interview with Wilders from February of 2009. Beck warmly welcomed Wilders and gave him plenty of air-time. Wilders presented his case for the noble cause of resistance to the growing Islamic repression of free speech in The Netherlands. Beck treated Wilders like the hero he is. Wilders, himself, has not changed since the first Beck interview – not his speech, not his positions, and not his beliefs. What has changed immensely is his stature in The Netherlands. He is much more powerful now than he was when he first appeared on Beck’s show in 2009. In fact, it is entirely within the realm of possibility that Wilders could become Prime Minister. Now, FOX News is astonishingly trying to destroy Wilders. Ignoramus, demagogue and fascist are pretty nasty labels to lay on anyone. 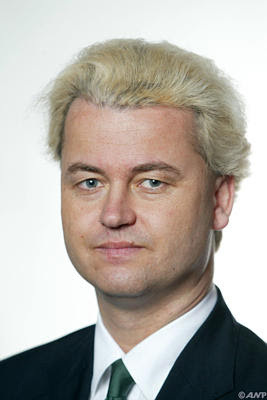 Beck was not recognizable this week from his demeanor and position with Wilders in 2009. A whole lot has changed at FOX News, folks. It was pile-on time at Fox News tonight as Glenn Beck, Charles Krauthammer, a gal whose name I missed [update — A.B. Stoddard] and Bill Kristol all branded Geert Wilders beyond the pale tonight. Beck classified Geert as a fascist. Krauthammer said Geert didn’t know the difference between Islam and Islamism — never mind that according to Krauthammer’s idea of Islamic scholarship, neither did Mohammed. [Stoddard] said she agreed with Imam Krauthammer and added that if people like this (Geert) are elected to lead Holland it will suffer the consequences. Kristol called Geert a demagogue. In other words, a stomach-turning display. Fact is, this anti-Geert pundit solidarity will only delight Newscorp [owners of Fox] stakeholder Saudi Prince Alwaleed bin Talal. That’s because it is Wilders in the Netherlands who stands as the unexpectedly strong spearhead of resistance to the Islamization of Europe and the wider West. As a scion of the most powerful sharia dictatorship in the world, Prince Talal doesn’t like that. How fortunate for him that Fox News doesn’t like it, either.